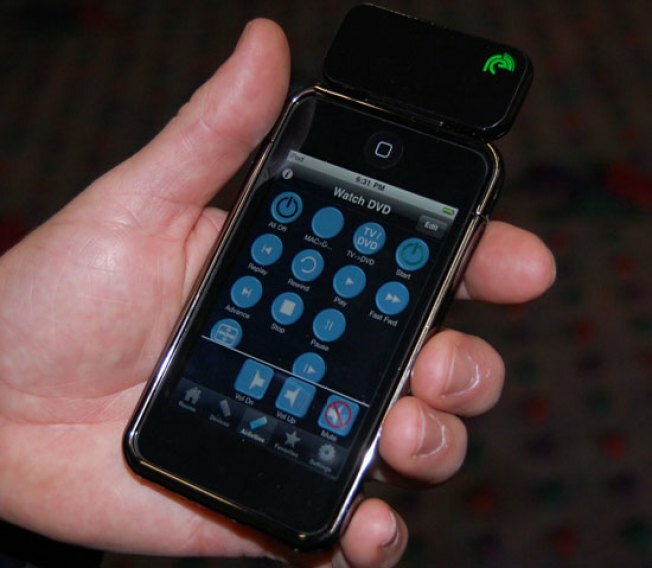 The Re Remote is a small accessory for your iPhone that turns it into a remote control for your home theater. The $70 dongle pairs with a special (free) app that lets you set up your phone just like a normal universal remote, with activities, macros, learning ability, customizable buttons — the whole bit. The dongle communicates via infrared, so it's perfectly compatible with most gear, and yes, it will work with the iPod Touch, too. That's all well and good, but is the fundamental premise of the product — using your phone as a remote control — really sound? Strangely, I'm leaning towards no, mainly because I remember some surprisingly serious arguments over the remote control in my household growing up. I really wouldn't want that happening with my iPhone. Sure, you could just use the Re/iPhone combo as a secondary remote, but then why have it at all? Anyone dying to have this? If so, it should be out by spring.